Our logos can be found below . Should you require a higher resolution version of the logo or different file type, please contact our office. Parks Foundation Calgary has branded banners and flags available for organizations looking to recognize us at events. To reserve the banner please contact us at info@parksfdn.com. We encourage you to link directly to our social media pages so we can assist your organization in promoting new initiatives and programs. We also request that you display our logo on your website with an active link to us. We encourage and prefer on site recognition items; think outside of the box! Can you display a decal or sign at your site or on your newly purchased equipment? Please discuss your ideas with Parks Foundation Calgary prior to producing. 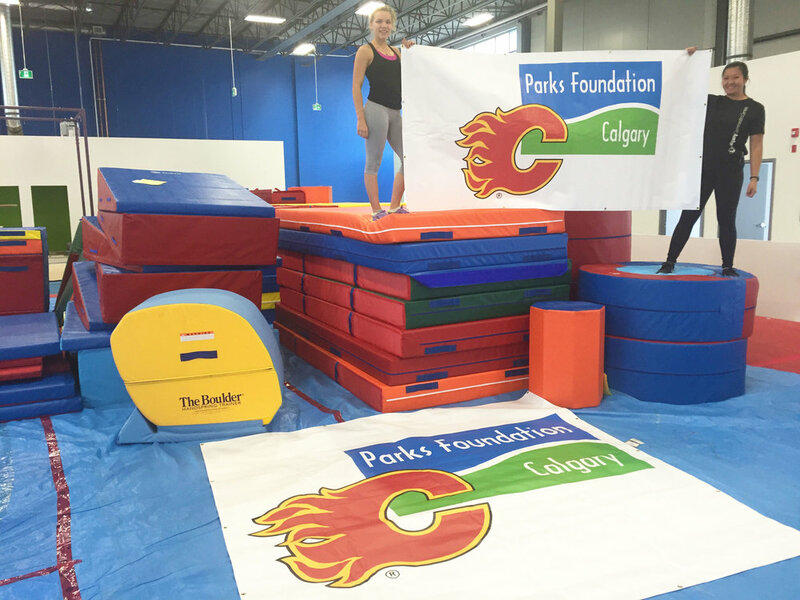 You may not alter the Parks Foundation Calgary Flames logo or the Saddledome Foundation logo in any manner, including its layout, colors or elements. Use of our logo does not constitute a license for its use or any other right to our logos or trademarks.